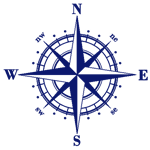 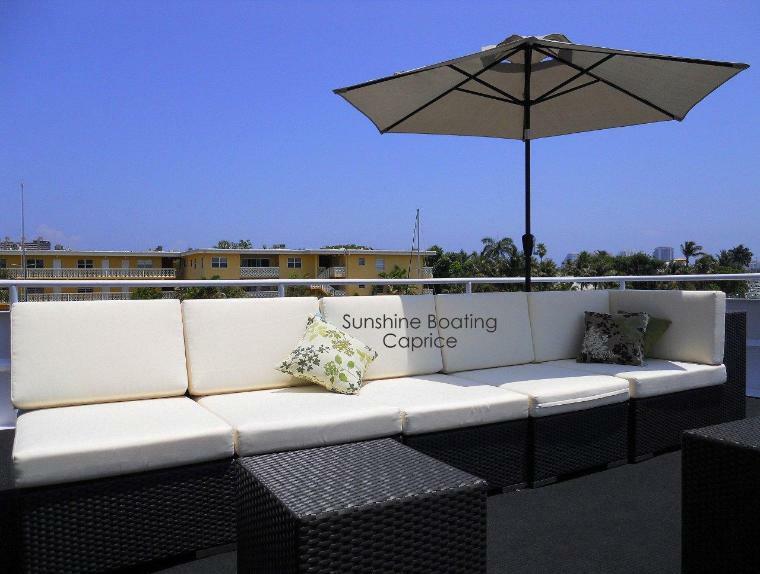 Location: Fort Lauderdale, FL, serving all of South Florida including Palm Beach, Boca Raton, Fort Lauderdale, Miami and Miami Beach. 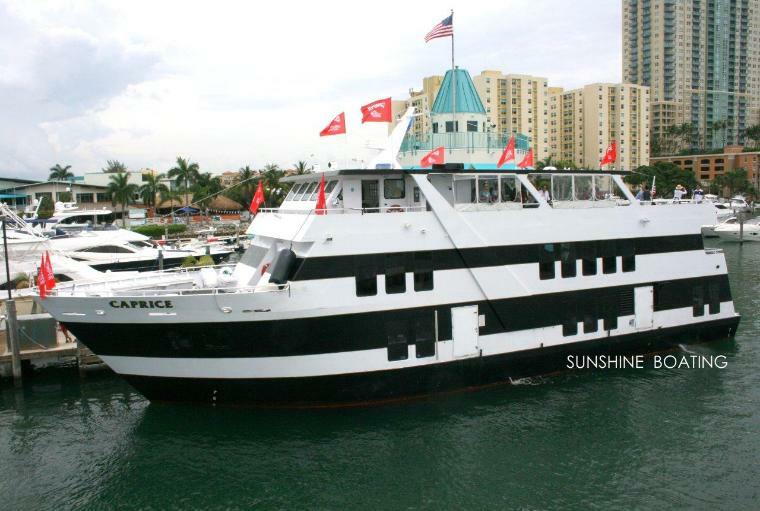 This yacht is one the busiest on the waterways. 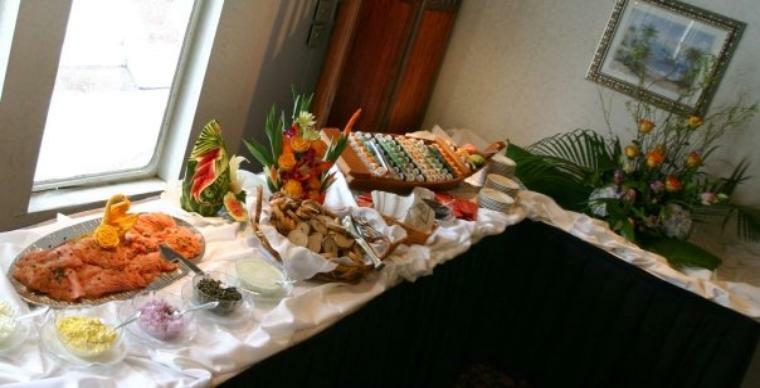 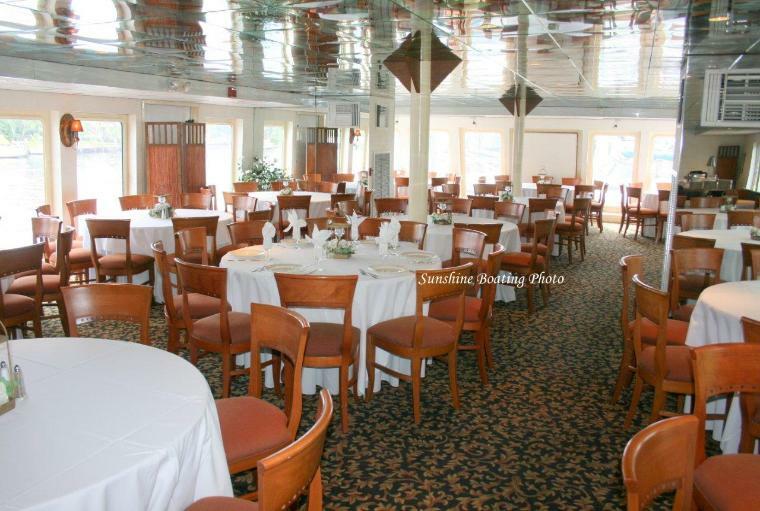 The tenured crew and wonderful service staff deliver the finest experiences, with delicious cuisine to match. 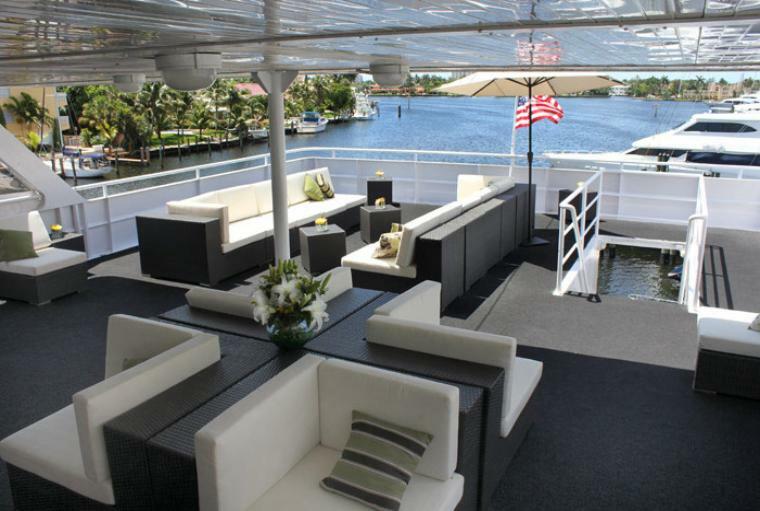 There are three total decks for entertaining. 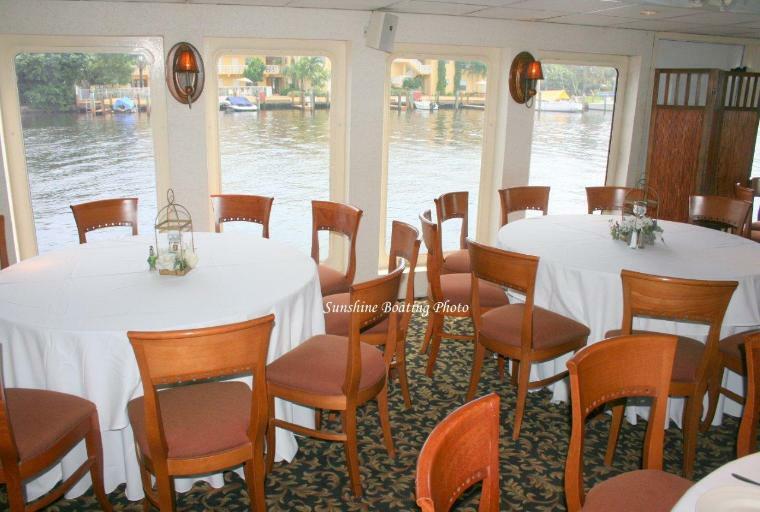 The dining room is based on the bottom deck with floor to ceiling windows just above the waterline. 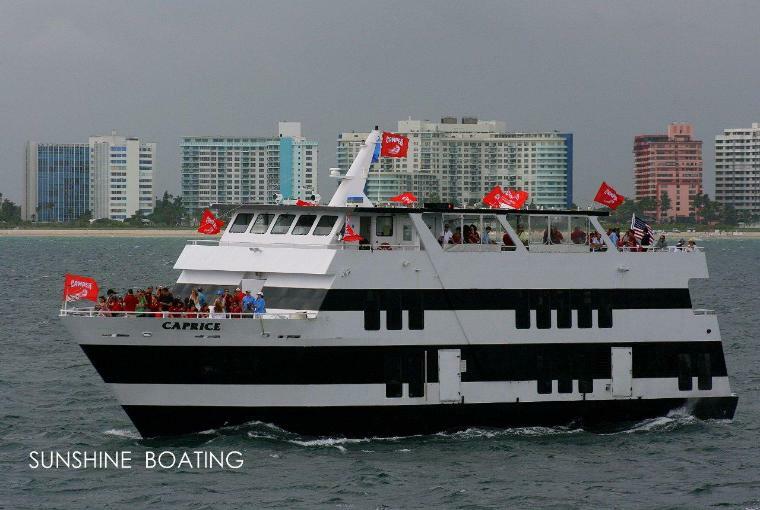 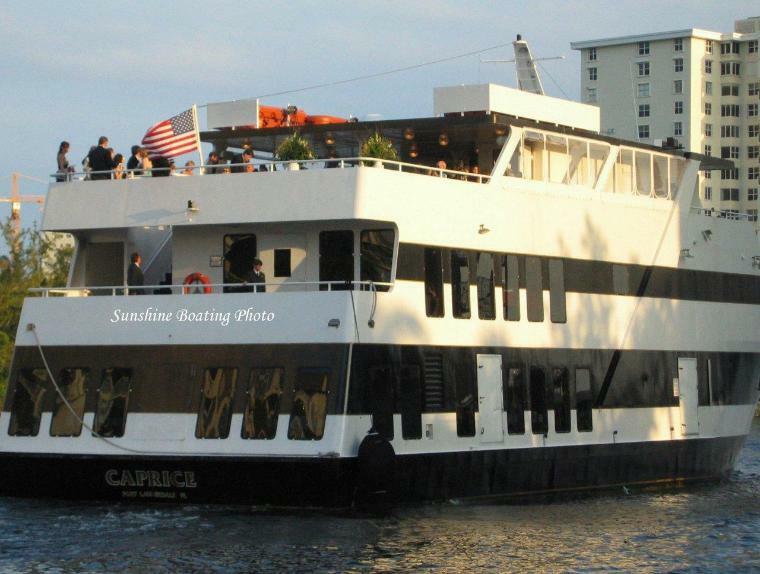 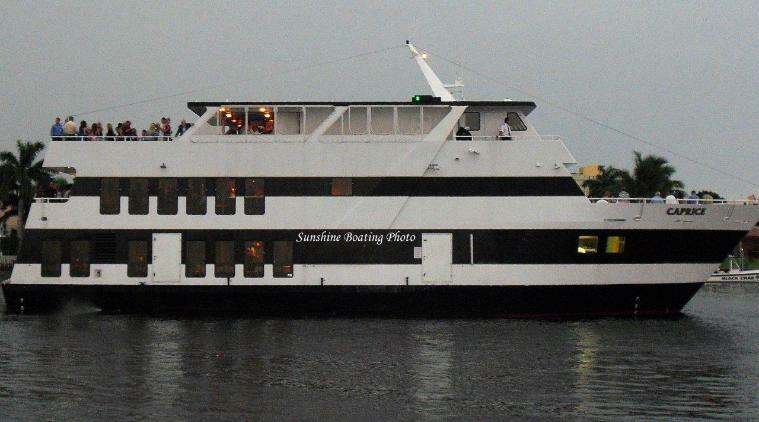 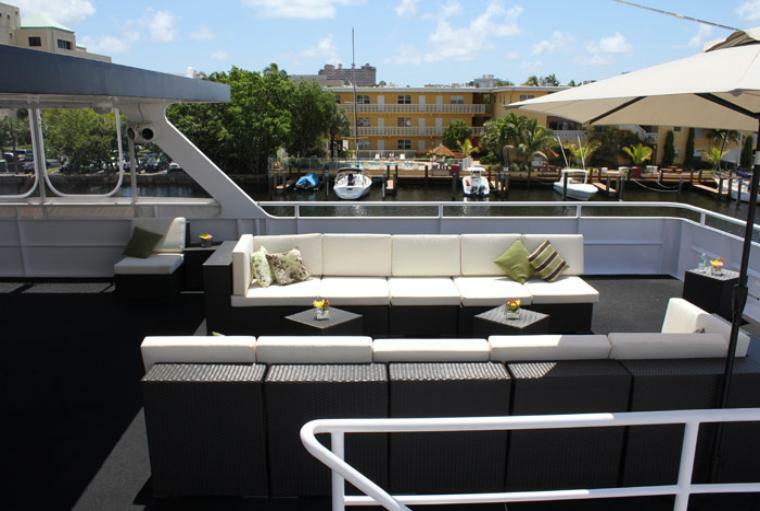 Take in the amazing views as we cruise along tranquil waters. 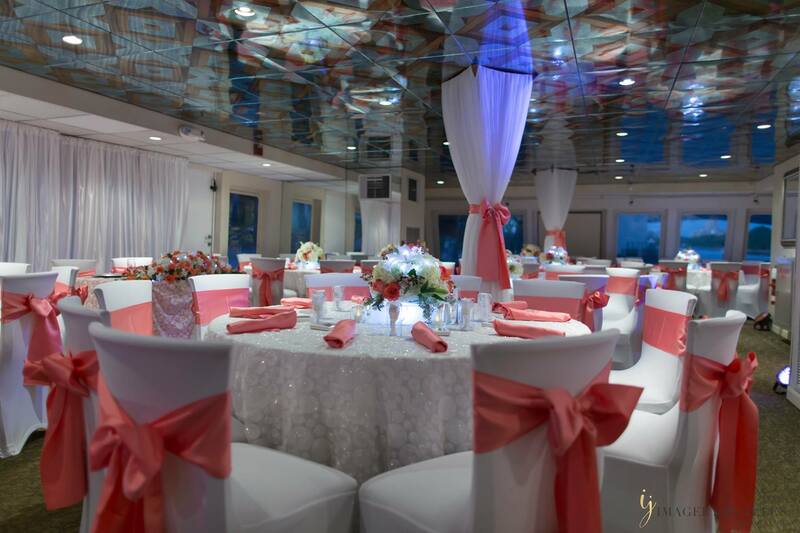 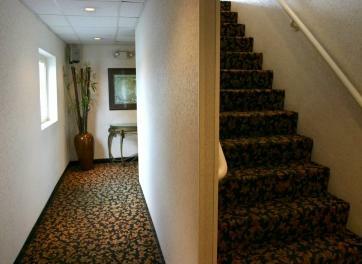 This room can accommodate up to 160 guests. 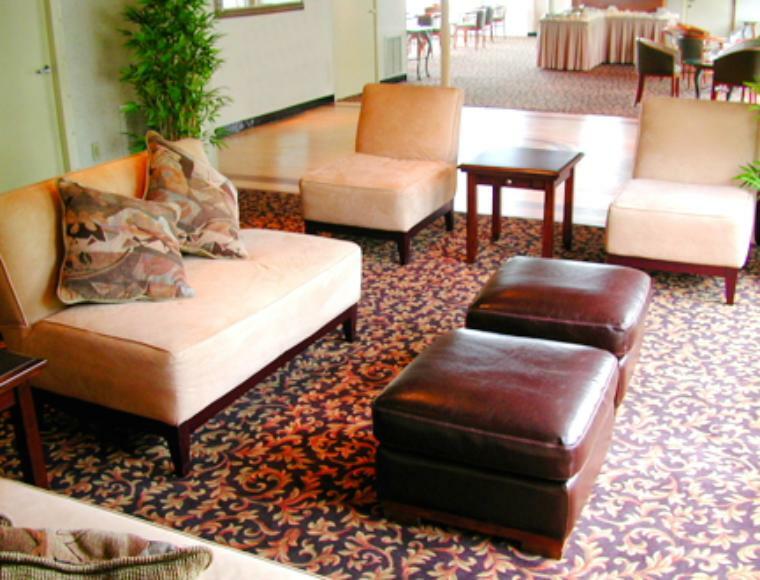 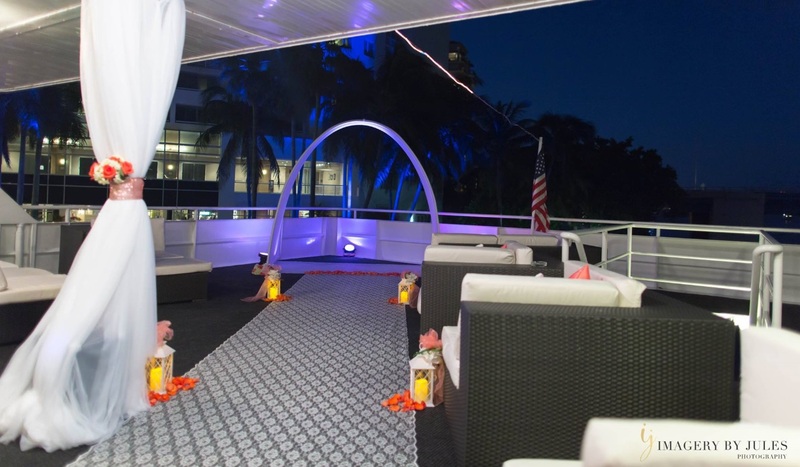 The piano lounge deck above is also fully climate controlled and features a hardwood dance floor, club seating and wonderful granite topped bar area. 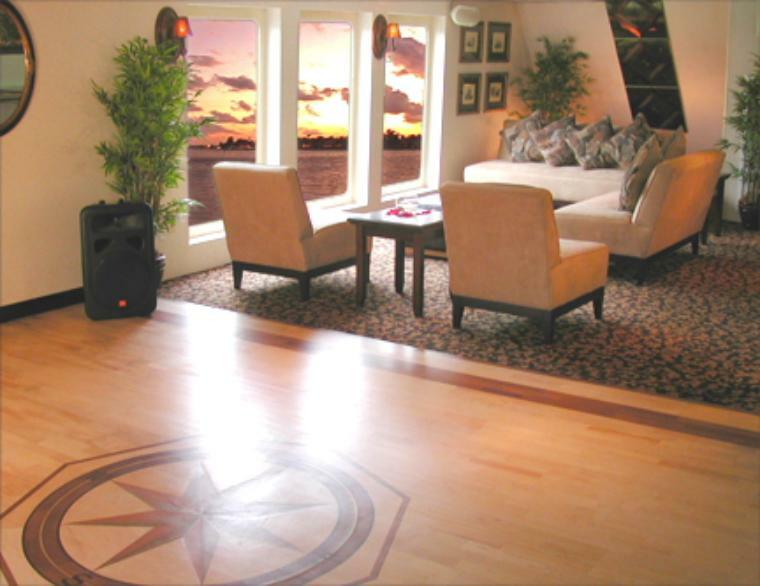 The large plasma screen is ideal for showing a slide show, PowerPoint or photo collage. 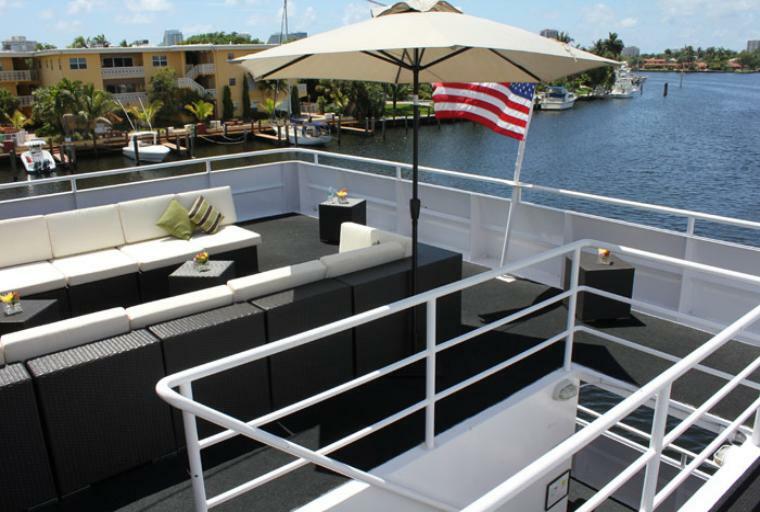 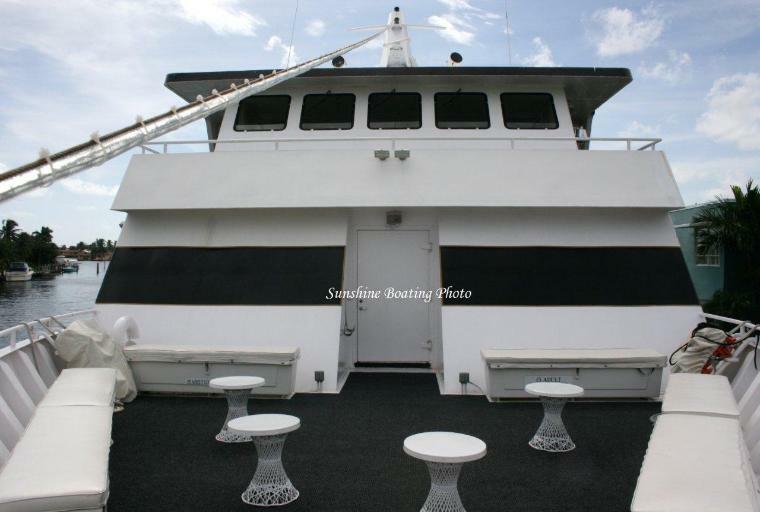 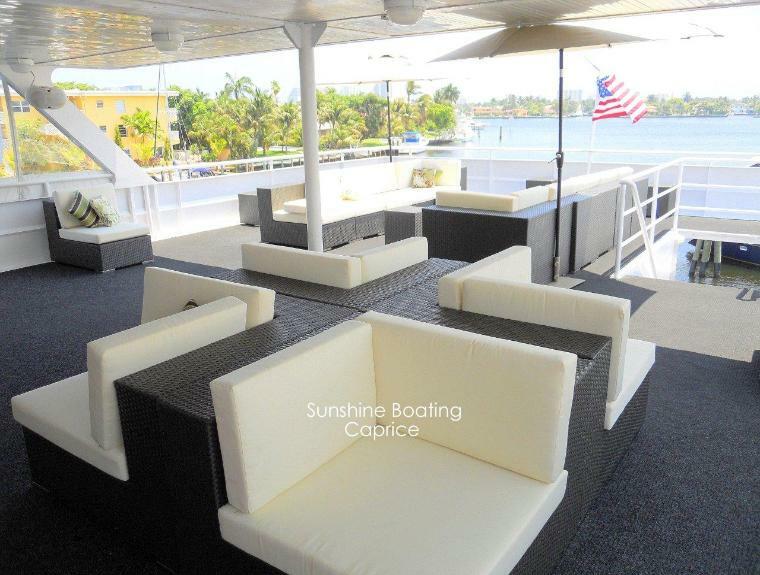 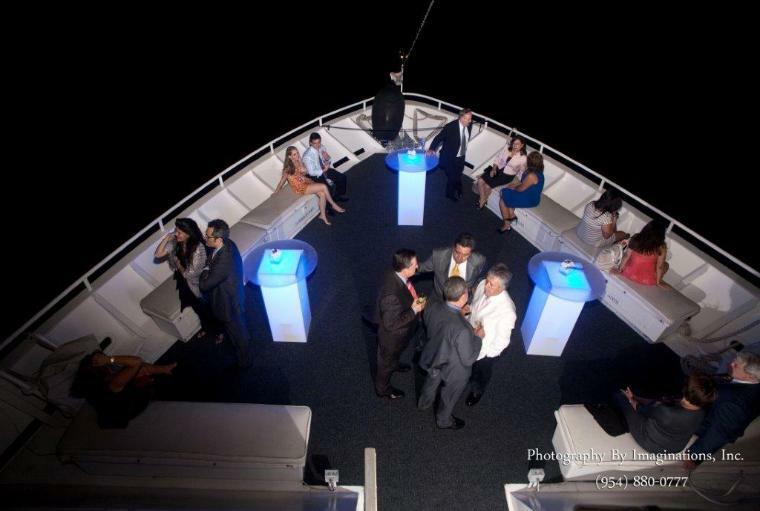 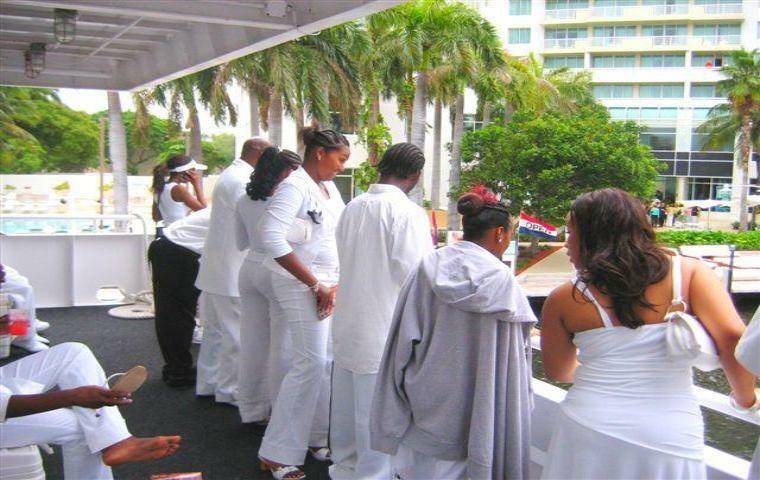 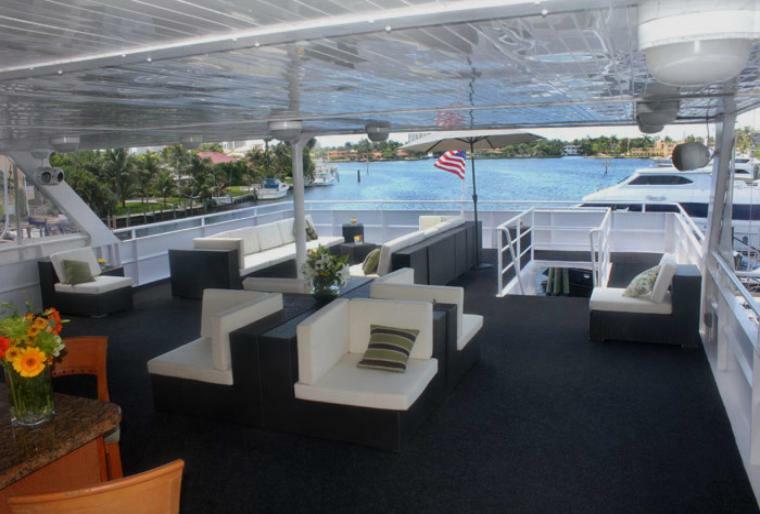 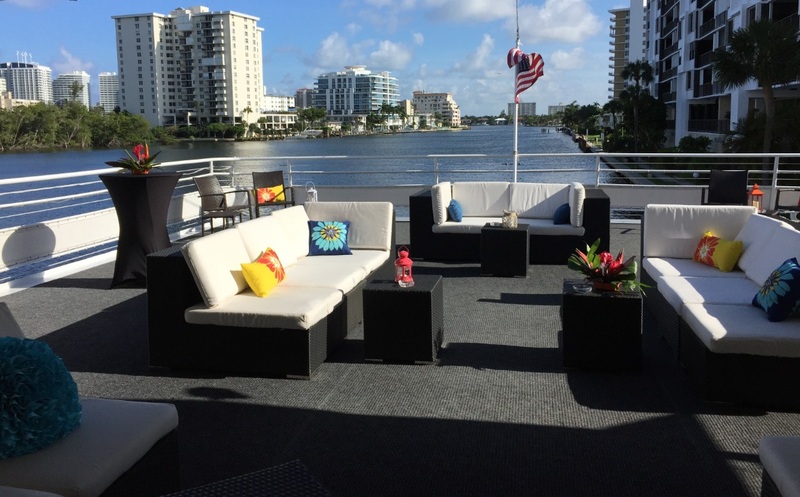 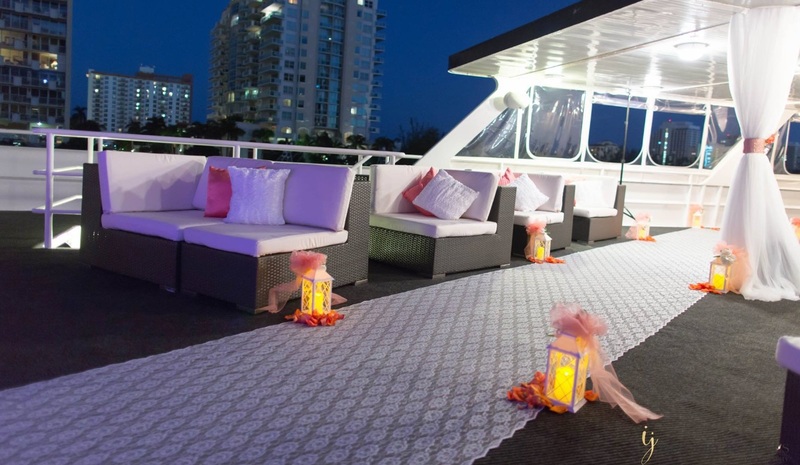 Many guests enjoy the spacious bow area and full beam aft deck viewing space. 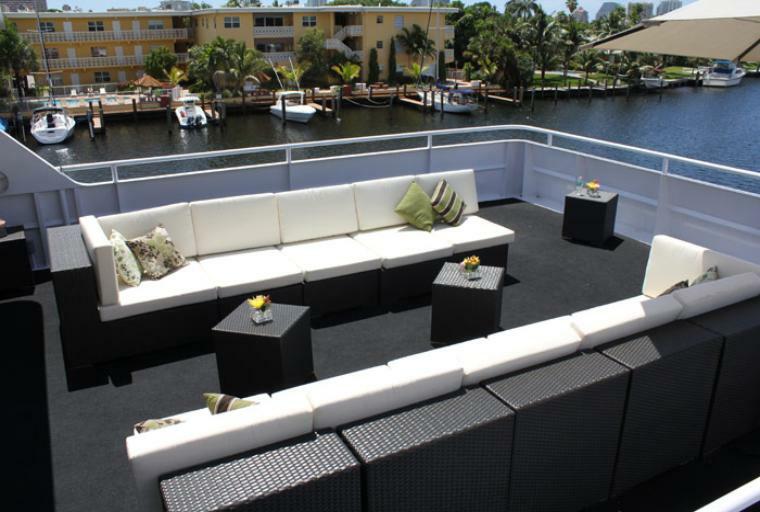 Topside is the sky deck. 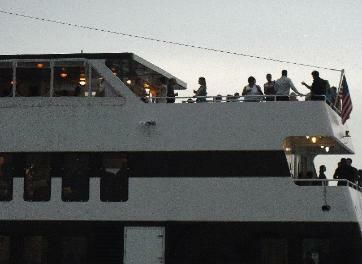 A secondary bar is stationed here under the protective rooftop. 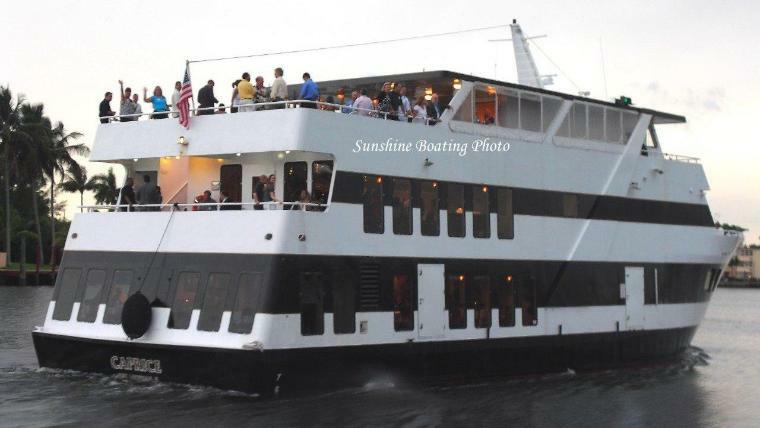 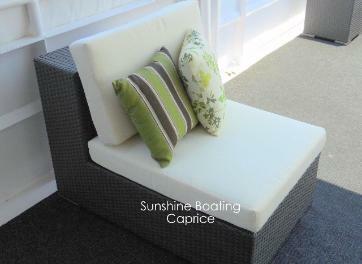 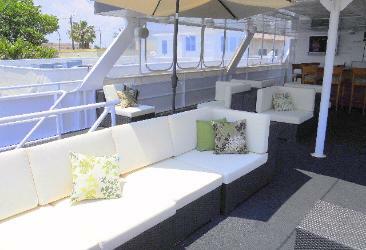 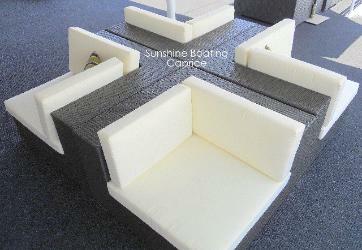 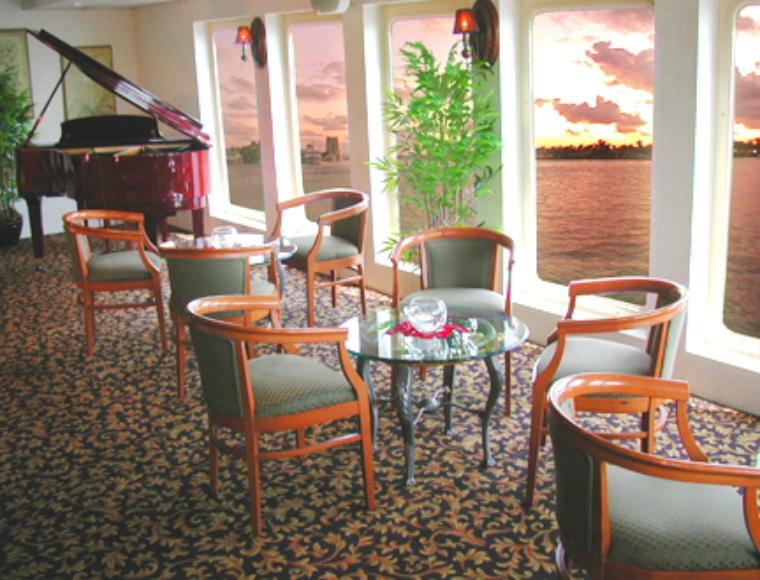 Flexible seating arrangements allow for comfortable vantage points and dancing while enjoying the passing seascape. 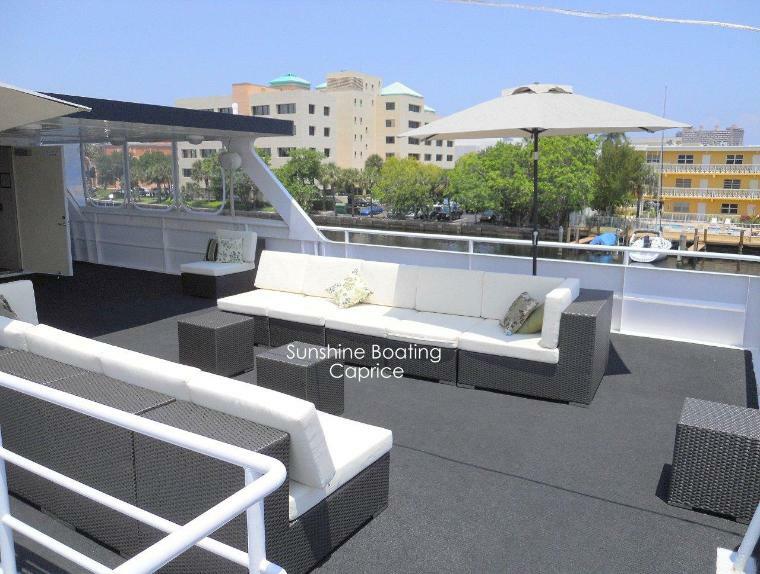 Overall, this yacht has a fine balance of tasty cuisine, comfortable spaces and a friendly crew which combine to deliver an outstanding experience at a more attractive price point. 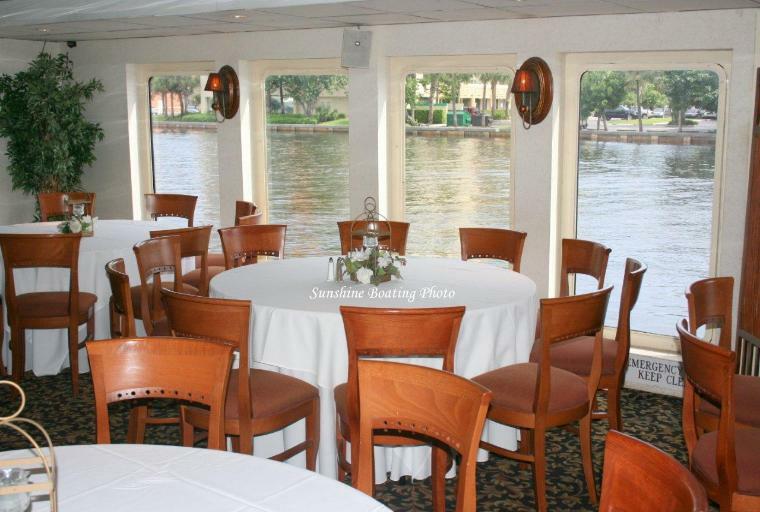 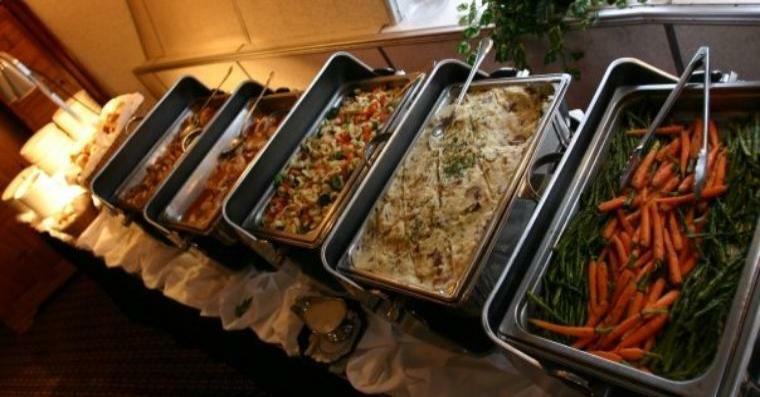 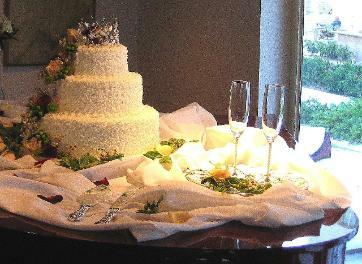 Perfect for weddings, birthdays or any other social or corporate affair.